On March 28, 2019, Judge John D. Bates of the District of Columbia found major provisions of the Department of Labor’s (DOL’s) final rule on association health plans (AHPs) to be unlawful. The rule’s interpretation of “employer” to include working owners and groups without a true commonality of interest was unreasonable and, as Judge Bates put it, “clearly an end-run around the [Affordable Care Act].” The court set aside these parts of the regulation and remanded the rule to the DOL to determine how the rule’s severability provision affects the remaining provisions. From here, the DOL could opt to rescind the rule altogether, try to revise it in a way that comports with Judge Bates’ decision, or appeal the decision to the Court of Appeals for the D.C. Circuit. The court’s decision included a number of choice words but repeatedly described the final rule’s changes as “absurd.” This is the second time this week that a court has invalidated, on the merits, one of the keystones of the Trump administration’s approach to health policy. These decisions suggest that courts will continue to analyze these policies based on what the rules do (rather than what the administration says they do) and whether they are truly consistent with federal law (rather than undermining bedrock statutory principles and congressional intent). Business and employer trade associations often offer health insurance to their members. Historically, these associations identified themselves as employers or employee organizations under the Employee Retirement Income Security Act of 1974 (ERISA) to claim ERISA preemption from state insurance regulation. A number of these associations defrauded their members and left millions in unpaid claims when they became insolvent. In 1983, Congress amended ERISA to give states regulatory authority over self-insured multiple employer welfare arrangements (MEWAs) and some regulatory authority over fully insured MEWAs to ensure solvency, require state licensure, and require financial reporting. AHPs are one type of MEWA. In 1996, Congress amended ERISA to give the DOL the authority to require fully insured and self-insured MEWAs to register with the DOL. Although states have had a far better track record of addressing fraudulent association plans than the federal government, fraud and abuse by AHPs has continued, including successful prosecution of AHP fraud by the Trump administration. The Affordable Care Act (ACA) did not outlaw AHPs but included reporting requirements for MEWAs, imposed criminal penalties on MEWA fraud, and authorized the DOL to take immediate action to address fraudulent MEWAs. It also dropped an exception from the “guaranteed availability” provision of the Public Health Service Act that had existed for bona fide association plans. Thus, an insurer that offers coverage through an association must offer the same plan to non-members who want it (and are aware of it). Associations themselves are not subject to guaranteed availability requirements. The ACA did not recognize AHPs as having special status. The ACA simply defined large group, small group, and individual plans, without reference to how they were offered. Prior to the new final rule, association plans continued under the ACA, but largely under existing ACA rules. This “look through” doctrine looked solely at whether the participating individual or employer is obtaining individual, small group, or large group coverage. This means that individual or small group coverage obtained through an association was regulated under the same standards that applied to the individual market or the small group market, respectively. This includes many of the ACA’s most significant consumer protections, such as coverage of preexisting conditions, new ACA’s rating rules, and the essential health benefits package. The exception to this rule is when the coverage sponsored by an association constitutes a single ERISA-covered multi-employer plan. By treating an association as an employer who is sponsoring a single health plan for its members, the AHP is regulated as a group health plan under ERISA. Group health plans are subject to various reporting, disclosure, and fiduciary requirements imposed by ERISA, requirements imposed by the Health Insurance Portability and Accountability Act of 1996 (HIPAA), and some, but not all, of the Affordable Care Act’s market reforms. Group health plans are also exempt from most state regulation. Although insurers that insure group health plans are subject to state laws and regulations (such as fair marketing practices), states cannot regulate the underlying employer-health plan. As a large group health plan, an AHP would not have to comply with many of the ACA’s most significant consumer protections (such as coverage of the essential health benefits package or rating rules) that apply in the individual and small group markets or many state requirements. This exception—where an AHP can be treated as a group health plan under ERISA—was the target of the DOL’s final rule on AHPs, which was released in June 2018. The rule was developed in response to an October 2017 executive order from President Trump that directed the federal government to expand access to AHPs, short-term limited duration insurance, and health reimbursement arrangements. In his executive order, President Trump directed the DOL to reconsider its definition of “employer” under ERISA and identify ways to promote AHP formation on the basis of common geography or industry. The DOL’s final rule largely adopted the changes contained in a proposed rule from January 2018 and made it much easier for an association to be considered a single multi-employer plan under ERISA. The final rule relaxed a long-standing “commonality of interest” requirement that associations must exist for a reason other than offering health insurance and allowed self-employed “working owners” to enroll in AHP coverage. The rule also included nondiscrimination protections that prohibit associations from conditioning membership based on a health factor (although not other factors such as gender, age, geography, and industry). The rule did not disturb state regulatory authority over AHPs but left open the possibility that the DOL would grant exemptions for AHPs from state requirements in the future. The final rule also included a new severability provision that had not been previously proposed. This part of the regulation provides that the rest of the rule would remain operative even if parts of the rule were found to be invalid or unenforceable. The preamble cited an example regarding working owners: if a federal court rules that the working owners provision is void, this provision should be severed from the rest of the regulation and thus would not impact, say, the ability of an association to meet the final rule’s updated commonality of interest test. The rule had staggered applicability dates. It applied to fully insured AHPs beginning on September 1, 2018, existing self-insured AHPs beginning on January 1, 2019, and new self-insured AHPs on April 1, 2019. Judge Bates’ ruling comes just days before the rule went fully into effect. In July 2018, a coalition of 12 Democratic attorneys general—led by New York and Massachusetts—filed a lawsuit challenging the final rule for violating the Administrative Procedure Act. The 12 jurisdictions involved are California, Delaware, the District of Columbia, Kentucky, Maryland, Massachusetts, New Jersey, New York, Oregon, Pennsylvania, Virginia, and Washington. The attorneys general argued that the DOL’s new interpretation of “employer” was inconsistent with the text and purpose of ERISA, that the goal of the final rule was to undermine the ACA, and that the DOL is changing long-standing interpretations of ERISA to do so. By picking and choosing the circumstances under which an association meets the definition of an “employer” under ERISA, the rule disregards the intent of Congress when adopting the ACA to establish three distinct sets of rules for three distinct markets (the individual, small group, and large group markets). The attorneys general also alleged that the rule increased the risk of fraud and harm to consumers, required states to devote significant resources to preventing that risk, and jeopardized the ability of states to adopt stronger protections. The lawsuit asked the court to declare that the AHP rule is invalid, to vacate and set it aside, and to enjoin the DOL from implementing or enforcing the rule. 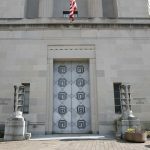 Oral argument was held on January 24, 2019, and the attorneys general urged Judge Bates to issue a ruling no later than April 1. Judge Bates devotes a significant portion of his analysis to whether the states have standing to sue in the first place and concludes that they do based on the potential loss of tax revenue and the cost of increased monitoring and enforcement to guard against potentially fraudulent AHPs. On the merits, the court concludes that the DOL failed to reasonably interpret ERISA and that major provisions of the final rule—on bona fide associations and working owners—must be set aside. The bona fide association standard failed to meaningfully limit the types of associations that qualify to sponsor an ERISA plan. This violates Congress’s intent that only an employer association acting “in the interest of” its members falls under ERISA. The working owner provision is inconsistent with the text and purpose of ERISA, which is to regulate benefit plans that arise from employment relationships. By extending the rule to include working owners, the DOL impermissibly extended ERISA to plans outside of an employment relationship. In multiple filings, the states asked the court to vacate the final rule in its entirety. However, Judge Bates characterizes the states’ position as challenging only parts of the new rule—namely, the new standards for bona fide associations, commonality of interest, and working owners under 29 C.F.R. 2510.3-5(b), (c), and (e). In his view, the states did not challenge the rule’s other changes related to nondiscrimination and organizational structure. The court thus does not address these requirements, which it believes are “collateral” to the rule’s three main requirements. Instead of invalidating the entire rule, Judge Bates remands the rule to DOL to consider how the rule’s severability provision affects the remaining portions. To show standing, a plaintiff must have suffered an injury that is fairly traceable to the conduct of the defendant that is likely to be redressed by a favorable decision. Here, the DOJ had argued that the states did not have standing to sue because they were not injured by the final rule, which applies to AHPs (not states). The states made a series of arguments for why they had standing to sue. First, even though the final rule did not directly preempt state law, the DOL threatened the possibility of preemption in the future. Judge Bates agrees that states have a sovereign interest in maintaining state legal authority but finds the possibility of future preemption to be too speculative to be an injury-in-fact. Second, the states argue that the final rule harms their quasi-sovereign interests in protecting the health, safety, and welfare of their residents. They argue the rule will result in adverse selection against their traditional individual and small group markets, resulting in higher premiums and more uninsured residents. Judge Bates rejects this rationale, noting that a state’s general responsibility for their citizens’ health and welfare cannot directly support state standing because the underlying harms—such as increased premiums—are suffered by citizens, not the state. Of the five states that alleged the loss of tax revenue or fees, Judge Bates found that at least three—Delaware, New Jersey, and Washington—stood to lose these funds. (California and Massachusetts also expected to lose tax revenue but there was insufficient evidence to reach this conclusion about these states.) For instance, in New Jersey, insurers pay a percentage of premiums to the state and the loss of individuals from the traditional markets to a new AHP would reduce tax revenues paid to New Jersey. The DOL acknowledged this outcome in the preamble to the final rule, noting that self-insured AHPs could provide less expensive coverage by avoiding potentially costly state requirements, such as premium taxes. Judge Bates concludes this analysis by noting that state tax revenue would be restored if the final rule were invalidated. Thus, the states have satisfied the requirements to show standing to challenge the final rule as it relates to self-insured AHPs. The states also have standing due to the regulatory burdens they will face in increasing their monitoring and enforcement efforts as a result of the final rule. Insurance departments in several of the states attested that they have already incurred costs because of the final rule. These costs include hiring new staff; reassigning staff on other projects to work on AHP-related issues; and dedicating staff time to advise insurers, educate consumers, and investigate complaints. Delaware, for instance, projected a 35 percent increase in the work for current staff related to AHP oversight and intended to develop a media campaign to educate consumers. The DOL also anticipated this effect, acknowledging that state regulators would face increased enforcement and oversight demands. Invalidating the final rule would halt the need for additional state expenditures, and the states had standing on this basis as well. The DOL asserts that the final rule is well within its authority to interpret ERISA and that the court should defer to its reasonable interpretation under the Chevron doctrine. Under Chevron, courts determine whether a statute is ambiguous. If so, the court considers whether an agency’s interpretation is reasonable or not. Courts defer to agency interpretations so long as the interpretation is not procedurally defective, arbitrary or capricious, or contrary to the statute. Judge Bates agrees that the Chevron doctrine applies to DOL’s interpretation of “employer” under ERISA and finds the definition of “employer” to be ambiguous. Thus, the question is whether the DOL’s interpretation is reasonable. He concludes that it not. The court then turns to the text and purpose of ERISA, which is to regulate benefit plans that arise from employment relationships. 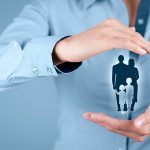 ERISA governs employee benefit plans created or maintained by employers or employee organizations for the benefit of current and former employees and their beneficiaries. Congress did not intend for ERISA to exceed these bounds by reaching coverage outside of the employer context. Nowhere does ERISA include an intent to expand access to health benefits outside of an employment relationship or to directly regulate commercial health insurers. To advance these goals, Congress adopted other laws, including the ACA, but did not use ERISA to do so. While some employer associations can qualify as employers under ERISA, they can do so only if the group or association of employers acts in the interest of an employer. While the DOL has the authority to interpret what it means for associations to act “in the interest of” an employer for purposes of an AHP, it cannot go so far as to ignore the statute’s restrictions or long-standing caselaw and DOL precedent. Prior to the new rule, the DOL looked to ensure that an association had a “sufficiently close economic or representational nexus to the employers and employees that participate in the plan.” Historically, this analysis centered on 1) whether the association is a bona fide organization that has purposes and functions unrelated to providing benefits; 2) whether the employers share some commonality and genuine organizational relationship unrelated to providing benefits; and 3) whether the employers that participate in a benefit program exercise control over the program. In the final rule, the DOL maintained the same three criteria—primarily purpose, commonality of interest, and control—for determining whether an association acts in the interest of an employer and is thus a bona fide employer under ERISA. However, the final rule reinterprets these criteria in a way that too significantly departs from the DOL’s prior guidance and in a way that fails to limit ERISA’s exemptions to only associations that act “in the interest of” employers. This unlawfully expands ERISA’s scope and conflicts with the statutory text. Judge Bates discussed each of these three criteria individually and then considers them together. First, the final rule relaxed the requirement that associations exist for a reason other than offering health insurance. The prior requirement—that a group or association must exist for a bona fide purpose other than offering health coverage to be an employer under ERISA—had been outlined in previous Department advisory opinions. It was intended to distinguish between associations offering AHPs and those offering private health insurance (“commercial-insurance-type arrangements”), where there is no employment relationship between the plan and enrollees. In contrast, under the final rule, an association’s principal purpose could be to provide benefits so long as the group or association had at least one “substantial business purpose” unrelated to providing benefits. DOL’s examples of a “substantial business purpose” range from resource-intensive activities (e.g., setting business standards or practices) to de minimis activities (e.g., publishing a newsletter). Judge Bates notes that the commonality of interest requirement is arguably the most important of the three criteria because it most directly relates to employers’ interests, which is ERISA’s core concern. Here, the final rule permits unrelated employers in multiple, unrelated industries to be deemed as acting “in the interest of” their employer members so long as they share a common geography. But common geography does not necessarily correlate with a common interest, especially when the interests of diverse employer members may be different or even conflicting. DOL also failed to explain its rationale for why shared geography meets the commonality of interest requirement. 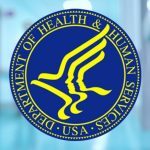 Instead of explaining how shared geography furthers the statutory requirement that associations act “in the interest of” employers, the DOL focused on its desired effect of the geography prong—which was both to respond to President Trump’s executive order and lower the barrier to AHP formation. The court believes that the DOL should have had the same concerns about its geography test. There is nothing intrinsic in common geography that would produce the types of economic or reputational ties that courts have deemed essential for a plan to be covered by ERISA. As a result, courts that have looked at this issue have declined to extend ERISA’s protections to organizations based solely on proximity. While the DOL could craft a rule that accounts for geography, geography alone is insufficient for showing commonality of interest. The geography test “effectively eviscerates” the commonality of interest required under ERISA and impermissibly exceeds the scope of the statute. Collectively, these three criteria fail to limit “bona fide associations” to those acting “in the interest of” their employer members under ERISA. Under the final rule, groups of employers with no common characteristic other than presence in the same state could qualify as a single employer under ERISA so long as that group had an election-based officer structure and some perfunctory business-related side project. This, in Judge Bates’ view, is not enough to show that an association and its members are connected by a true employment nexus. In addition, the rule would impermissibly enable groups that resemble commercial insurance providers to qualify as an “employer” for purposes of offering an AHP under ERISA, which has long been forbidden. Historically, AHP enrollment has been limited to the association members’ employees, former employees, and their families or beneficiaries. This has meant that individuals—including sole proprietors with no common law employees—generally have not been able to enroll in group health AHPs. Caselaw and DOL advisory opinions have confirmed this limitation, emphasizing that there has to be an employer relationship to obtain AHP coverage and that associations sponsoring an AHP must be bona fide employment-based associations. Setting this long-standing precedent aside, the final rule expanded the availability of AHP group coverage to self-employed individuals referred to as “working owners.” Under the rule, a working owner without common law employees can qualify as both an employer and an employee for purposes of enrollment in a group health AHP. This “dual treatment” allows a self-employed individual to be an employer (to participate in the AHP and offer group coverage) and an employee (of their own business to qualify for the health coverage offered by the AHP). Because of this, two sole proprietors without employees could band together to form an association and then offer an ERISA plan to themselves. Judge Bates finds this to be absurd. Rather than “interpreting” ERISA, the DOL rewrites the statute, ignoring the law’s definitions and structure, caselaw, and ERISA’s 40-year history of excluding employers without employees. A working owner’s membership in an association does not bring him under ERISA: joining an association cannot transform a sole proprietor into an “employer” or “employee” under the statute. Further, Congress did not intend for working owners without employees to be included under ERISA because ERISA’s focus is on benefits arising from employment relationships. Working owners employ no one: one does not have an employment relationship with oneself. Judge Bates focuses his analysis on whether the DOL’s interpretation of “employer” is unreasonable under ERISA. However, the final rule’s interpretation regarding the dual treatment of working owners creates “absurd results” under the ACA, which bolsters his conclusion that the DOL’s ERISA interpretation is unreasonable. The ACA generally incorporates ERISA’s definitions of “employer” and “employee” with one exception for “employer.” Under the ACA, an “employer” must have two or more employees. The DOL reasons that the association counts as an employer under the ACA because the two working owners also serve as employees (meeting the requirement of an employer with two or more employees) and under ERISA because the two working owners are also employers. In the DOL’s view, as long as the association has at least two people, it qualifies as an employer under the ACA. Judge Bates finds this logic unpersuasive. As he puts it, DOL’s reasoning “transforms two individuals, neither of whom works for the other, into a total of three employers and two employees.” This does double duty, straining both the reading of ERISA’s definition of “employee” and the ACA’s definition of “employer.” Judge Bates takes particular issue with the idea that 51 sole proprietors could join together and, without any employees, qualify as an employer under the ACA and a large employer exempt from the ACA’s requirements for the individual market. In his view, this reading undermines the market structure that Congress purposely put in place in the ACA to distinguish rules that apply to individuals, small employers, and large employers. Judge Bates refers to the DOL’s explanation as “pure legerdemain” (which was a new one for me). For now, the final rule’s major provisions have been set aside and the rule has been remanded back to DOL. From here, DOL could opt to rescind the rule or go back to the drawing board to try to revise it in a way that comports with Judge Bates’ decision. This would be challenging to do with respect to the provisions on working owners, which the court soundly rejected. However, DOL could potentially revise its interpretation of qualifications for bona fide associations, with a narrower primary purpose and commonality of interest standard. The federal government could also appeal the decision directly to the D.C. Court of Appeals instead of attempting to revise the rule. The most immediate impact of the decision is that it prevents the formation of self-insured AHPs under the new rule. The rule would have gone into effect for new self-insured AHPs beginning on April 1. Historically, these types of entities have been the most vulnerable to abuse and fraud. In fact, the DOL delayed the effective date for this type of AHP precisely to give additional time to DOL and states to address concerns about self-insured AHPs’ vulnerability to financial mismanagement and abuse. Perhaps a trickier question is what happens to the existing AHPs—fully insured AHPs and existing self-insured AHPs—that have been formed under the rule already. The decision raises a number of questions, but clearly these AHPs should not be marketing to new enrollees or sole proprietors going forward. Because the final rule has been vacated, those AHPs offering coverage to working owners and small employers no longer qualify as ERISA plans under the rule. Since they no longer qualify as ERISA plans, they are governed under the ACA’s rules in the individual and small group market and subject to state regulation. Given this, these AHPs may need to come into compliance with the ACA’s individual and small group market protections. States that want to take enforcement action against AHPs presumably could, relying on state law or the prior “look through” doctrine. It is not yet clear what (if any) guidance the DOL, or potentially the Department of Health and Human Services, might give or whether they will announce an enforcement stance for AHPs currently offering non-ACA-compliant coverage. To the extent that individuals have already enrolled in AHPs under the final rule, the decision has the potential to be disruptive but will depend on what happens next in the lawsuit (such as whether DOL appeals the decision or opts to revise the rule). In any event, it is unknown how many small employers and working owners are currently enrolled in these new AHPs but enrollment may be relatively low because they are still new. Small employers currently enrolled in one of these AHPs could take advantage of year-round enrollment in ACA-compliant small group coverage. 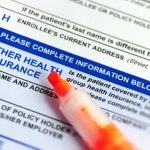 Working owners who, under the court’s decision, lose AHP coverage because they can no longer validly be enrolled in an AHP also likely qualify for a special enrollment period to enroll in ACA coverage.